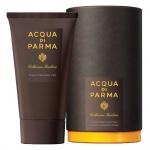 Acqua Di Parma Colonia Shaving Cream is a soft foaming and rich shaving cream that gives a luxurious lather that is unbeaten in quality and thickness. Acqua Di Parma Colonia Shaving Cream has been formulated to thicken into a soothing, rich lather that cushions the skin for shaving to prevent razor burn, ingrown hair and help protect the sensitive upper skin layers whilst you shave. The Acqua Di Parma Colonia Shaving Cream also has active agents to push up the hair, allowing for a super close shave with minimum irritation. 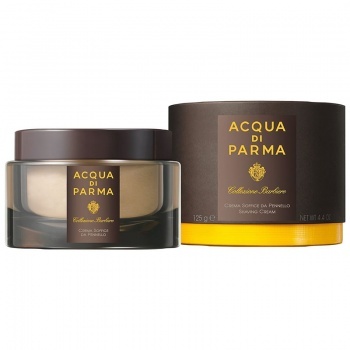 Acqua Di Parma Colonia Shaving Cream is refreshing and balmy due to the rich proteins from hydrolysed wheat, sweet almond oil and mallow extracts. This gives a soft feel before, after and during your shave. 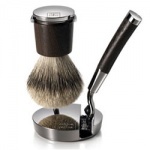 It is a rich cream perfect for a safe, close shave that is gentle and moisturising for dry skin.